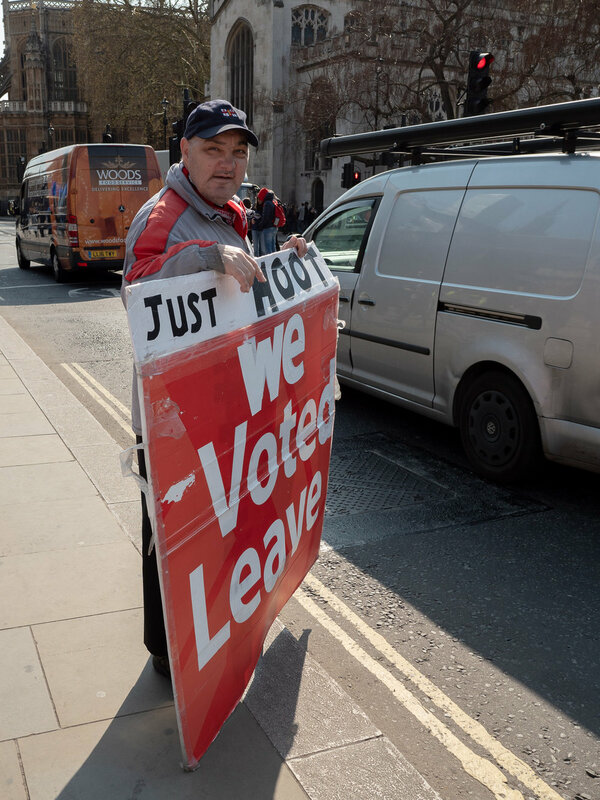 The pavement outside Parliament, last Monday, 2019-04-01. This is the pavement opposite Parliament square, where protestors, tourists, and journalists form a nearly impenetrable mass. It is not the job of this blog to take sides in the ongoing never-ending Brexit saga - so fear not, you won't be getting a harangue from me. 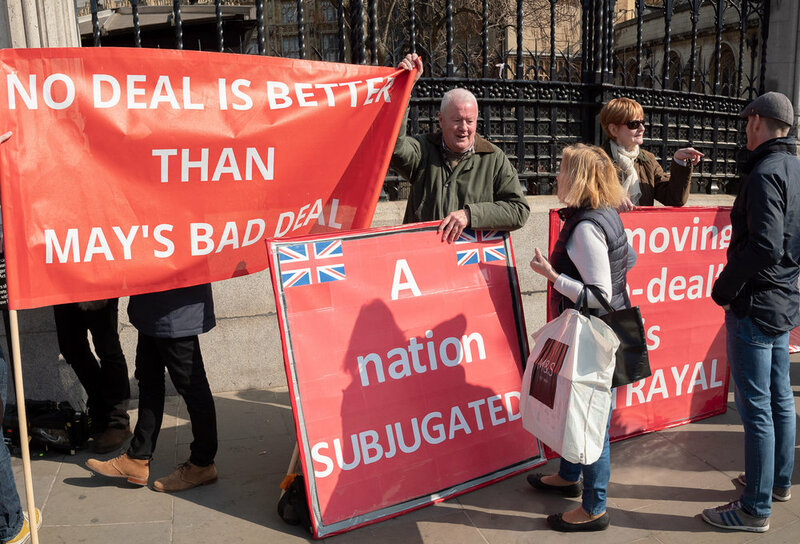 Nonetheless, Brexit is an important moment in history, so here is a small set of pictures that I took on two recent visits to the streets outside Parliament to document the various protestors. The topic of Brexit has spurred passions like I have never seen previously in this country - even more than the Poll Tax or Iraq war. 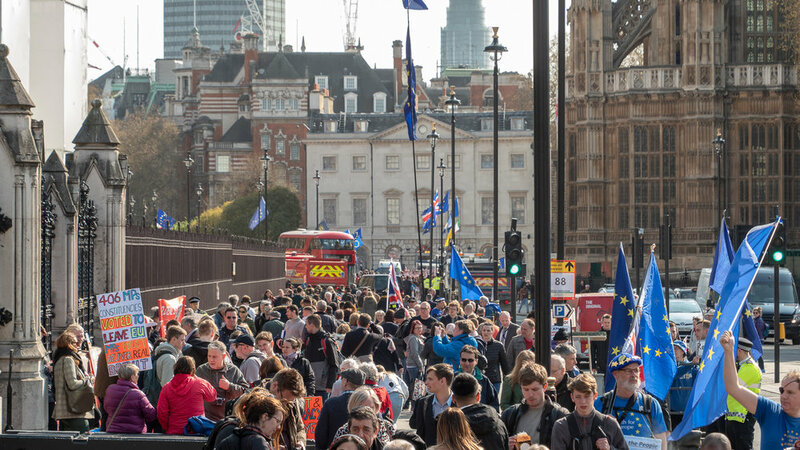 A reflection of this is the various protestors who have set up outside the Houses of Parliament, either pro- or anti-Brexit. The people I saw are passionate, very clear in their stance and more than willing to engage with passers-by. By no means all, but most are of a certain age, presumably because younger people, while no less passionate in their views, are too busy with work or education. One thing to note is that I was there on weekdays, so the people I saw are embedded for the long haul. Last Saturday, there were uglier scenes when large groups of less restrained demonstrators turned up for the day. The people I met were very different from those. Some protestors dress up in costumes or wrap themselves in flags (the ones I saw were mainly on the pro-EU side) - outside of a World Cup, people just don't do that in this country, especially not for something political. And before the referendum, an EU flag was an extremely rare sight anywhere in this country. 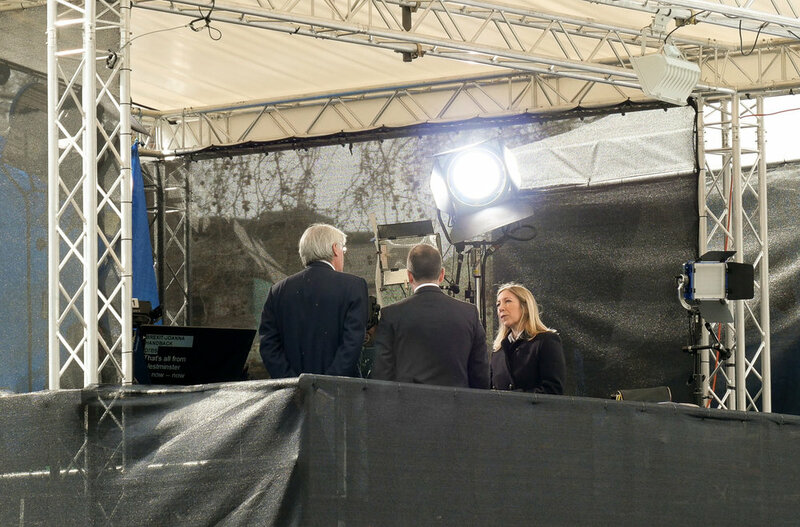 Anyone watching the TV news recently will have seen outside broadcasts from College Green (Abingdon St gardens), just across the road from Parliament. Those news broadcasts are often punctuated by the sound of the words “Stop Brexit!” shouted from outside: the megaphonist above is their source. Whenever a ministerial car gingerly makes its way through the crowd (they certainly don’t sweep in), photojournalists line up at the kerb to get pictures of the occupants. The flashes are to punch light through tinted windows. Meanwhile, everyone else waits to cross the road. Tourists from all over the world still come to see the sights of Westminster: the protestors now form part of their holiday selfies. Brexit is not the only game in town. 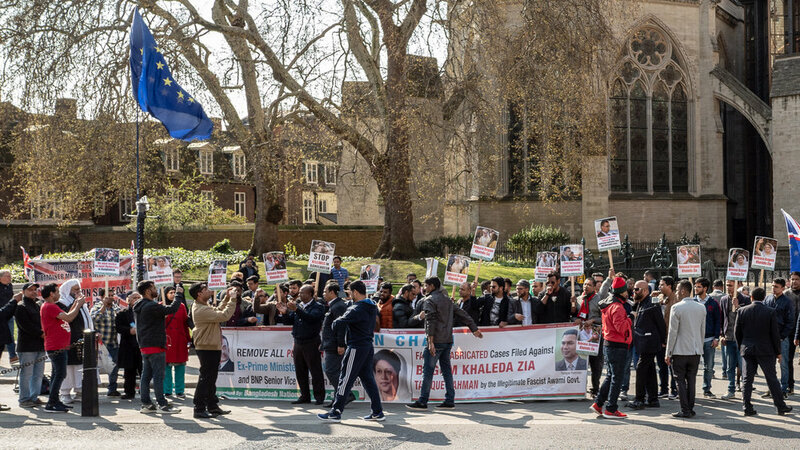 Between Parliament Square and College Green, a group protests events in Bangladesh. Parliament Square on a glorious spring afternoon. Beyond the pavements immediately outside Parliament and College Green, there is no sign of the protests. 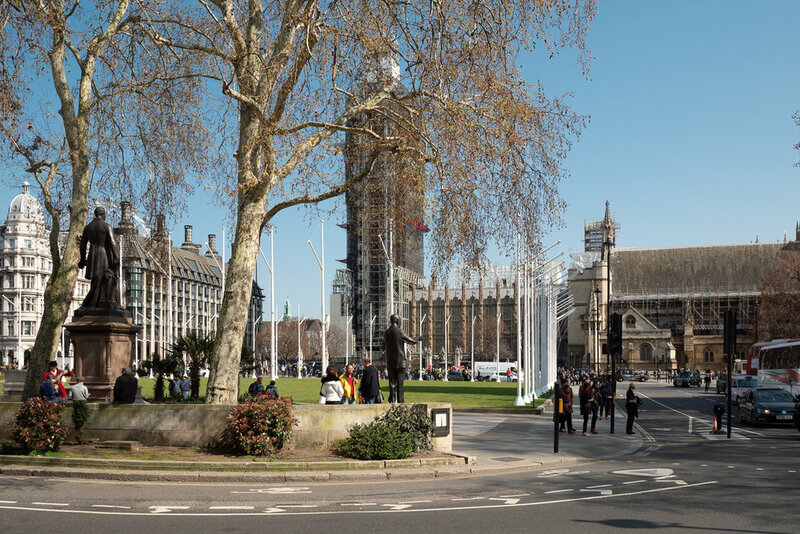 Even on the other side of Parliament Square, it just feels like an ordinary spring day. Outside the political bubble, life just carries on. 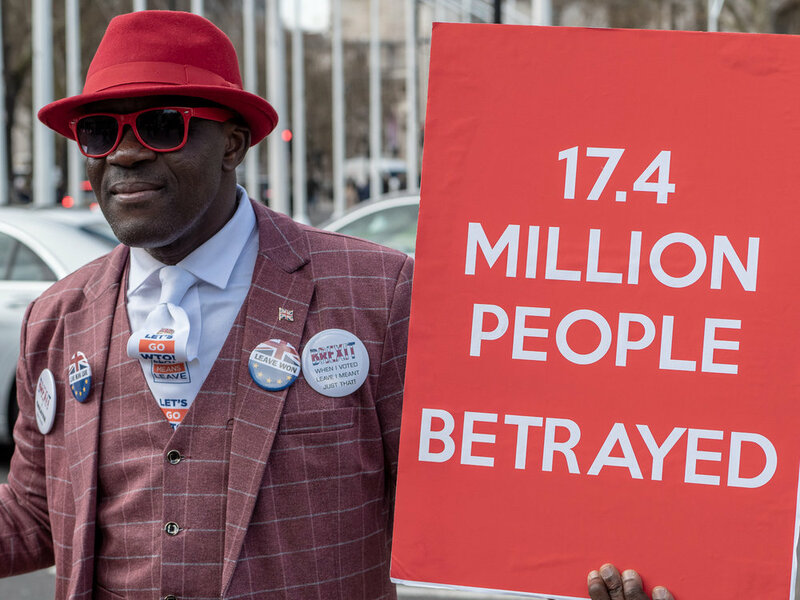 One final point is that, even though Brexit is dividing this country as never before, it has ceased to be a topic of conversation between friends. Post-referendum, it just does not come up. Friendships are too important to be lost to arguments over this. In any case, there are other things to worry about that we can all get behind: the pollution of the planet by disposable non-biodegradable plastics is something lost in the Brexit hullabaloo. FWIW, all pictures were taken with the Panasonic Lumix DMC-GX9, and Panasonic 12-60mm f2.8-4.0 Leica, Panasonic 15mm f1.7 Leica or Panasonic 42.5mm f1.7 Lumix lenses.